Is it possible to mixer two audio file? When I try to use a mixer to put two buffers together and send that to output, the result is garbled and static-y. Any idea what's causing this? 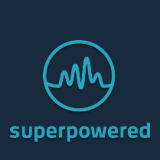 Does the Superpowered mixer allow to process any number of inputs (not only 4)?